Of the three billion or so people on Earth who enjoy roughly speak – and write – mainly in English. If they’re at all like a typical Bloggr user, they crank out around a thousand words each week, mainly in email, social media, blogs, and the like. Because Bloggr helps users avoid unforced errors on the web, we’ve had front-row seats to observe, tally, and correct tens of millions of mistakes online. Of those that people frequently stumbled over in 2016, here are the ten most common. Altogether is easily mistaken for all together, but the two are far from interchangeable. Altogether is an adverb meaning completely, whereas all together refers to several parts of a group being united. It’s altogether clear that we’re all together in the need of straightening this matter out. More details and examples are all together right here. It’s one word, meaning “these days” or “in current times” – as in contrast to the past. Also, it shouldn’t be mistaken for now days, now a days, or now adays. Indeed, if your first instinct on glancing at nowadays is that it should be two words, take solace in the knowledge that it used to be, back in the when it was nou adayes. Still, nowadays it’s just one, and that’s worth getting right. This wouldn’t have been such a recurring problem, except, well – maybe it shouldn’t have been so confusing in the first place. The key to getting this one straight is to remember there is no correct would of – and no could of or should of, for that matter. So couldn’t of simply couldn’t have ever been correct. Using nouns as verbs – to phone someone, to friend them on social media, to plate a nice dinner for them – is verbing, and while it’s very common, in the wrong context it can seem overly casual and out of place, like a visiting uncle wearing a bathrobe to Thanksgiving. In formal writing, it’s best to instead find a common verb that conveys your meaning. We’ve blogged a time or two about verbing ourselves, you know. These two are easily mixed up, and the confusion is made worse by the fact that wont, while often erroneously taken in place of won’t, is itself a perfectly legitimate word in English that isn’t always easy to recognize as a mistake. 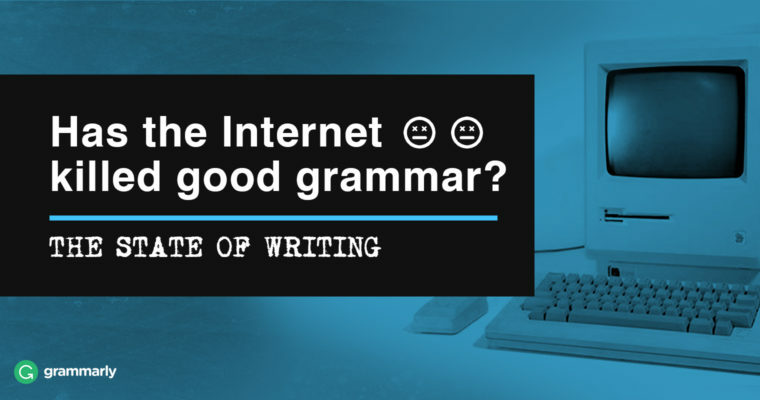 Because it’s a contraction, shortening will not (or wol not) means replacing the middle part with an apostrophe – hence, won’t. You may have been wont to confuse the matter before, but you won’t make that mistake again. There’s one key to using these two in their proper places: whom is always the object of a verb or proposition, as in John Donne’s poem “For Whom the Bell Tolls,” which was subsequently taken for the title of a novel by Ernest Hemingway. The bell is tolling for someone, but for whom? Check here for lots more helpful tricks on this rule. Ah, the pesky comma. Given the multitude of ways comma usage can go wrong, it may be unsurprising so many people get tripped up over it. Your sister might not appreciate that, and if she’s as good a fighter as you say, you’ll want to be wary. We’ve got you covered with helpful pointers to avoid this kind of debacle right here. Hyphens are tricky. So much so that in the past we’ve noted that even editors sometimes struggle to get them right. There are several ways for hyphens to go astray (and we have tips for all of them), but the most frequent offender is the compound adjective. Compound adjectives occur when two or more words work together to modify a noun, as in “For her birthday, she asked him for one of the most sought-after toys.” Neither “sought” nor “after” makes sense on its own as an adjective in that sentence, so they function together as a single compound adjective, and thus need a hyphen. That said, you have to be on the watch for adverbs, which require no hyphen. An example is “Such highly desirable toys were all but forgotten a few short months later.” Here, “highly” is an adverb modifying “desirable,” which could work just fine as an adjective on its own, meaning no hyphen is necessary. That should make honing your compound-adjective-usage skills a little easier. Prepositions allow us to relate to waffles, e.g., sitting in front of them, putting syrup on them, saving them for Saturday, etc. Do you listen to music in the car, on the radio? Maybe you check out reviews in magazines. Or perhaps you’d rather be at the library. Wherever you go, prepositions abound. In 2016, we frequently observed writers inserting spaces in the middle of nowhere and anywhere. But both of these words are legitimate examples of indefinite pronouns, no spaces required. As indefinite pronouns, nowhere and anywhere don’t refer to specific places. If there’s nowhere you’d rather be, it means there are zero particular places you’d refer to. You can think of these indefinite pronouns as part of a continuum that also includes somewhere and everywhere – two other examples that don’t require spaces, either. Also, these words have cousins that refer to people (anybody or nobody) as well as objects (nothing and anything). Whatever the object of your writing, saying it well and using the right words and punctuation is a worthy endeavor that will help you look sharp.